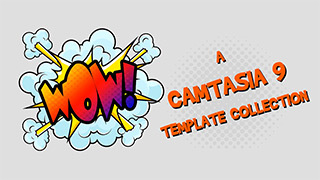 10 new Cartoon/Speech bubble templates for Camtasia 9 (PC). Installs into the Camtasia Library, then just drag-and-drop to your timeline to apply. Please note, will not work on Camtasia 8, older versions or Camtasia Mac. PDF with suggestions of great cartoon fonts for video also included.